The doctors discovered cancer in Bailey’s body quite late, so, unfortunately, they could only say that he had just days or weeks to live. 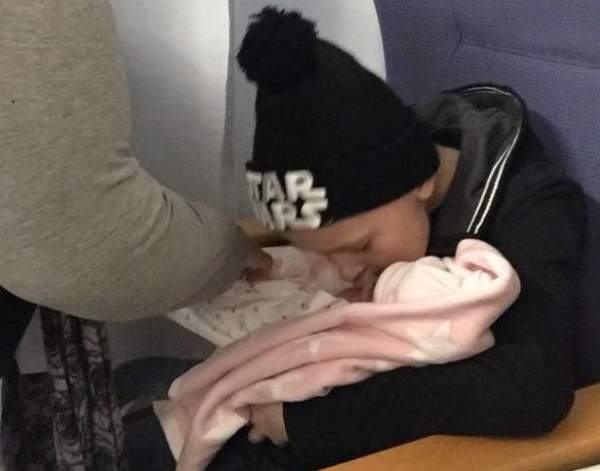 It was Christmas Eve when Bailey passed away, he was with his parents Lee and Rachel Cooper, they were at his side, but not before he got to see his newborn sister, he named her Millie. Bailey’s troubles started in the summer of 2016 when he was taken ill and got medical attention. The Doctors thought he might have had some kind of virus, but when it didn’t get better they gave him antibiotics for a chest infection. His blood test results were completely devastating, has was diagnosed with non-Hodgkin lymphoma, it was cancer, it affects the vessels of the glands in the body. He was started on chemotherapy and steroid medication and in February of 2017 cancer went into remission, it seemed like there was a glimmer of hope and he might recover. It came to easter time, the doctors called his parents, there had been a relapse and he had to return to hospital again. Bailey was reassessed, the doctors said that he had a seventy percent chance of survival now. Bailed bravely battled the disease and towards the end of July, he had recovered enough that he could leave the hospital again and spend some time with his family. Towards the end of August again there was a relapse. But this time around the cancer had returned even more aggressively than previous times. There were sizable lumps in his chest, inside his lungs, his liver and his stomach, it was extensive! Bailey was determined and he battled as hard as he could, he was determined to meet his little sister, she was due in November. Bailey’s situation deteriorated and he had to go on pain medication. His father said the doctors predicted that he wouldn’t last until his sister would be born but Baile had a different idea about that! Bailey was taken to the hospital on Friday, Dec. 22. 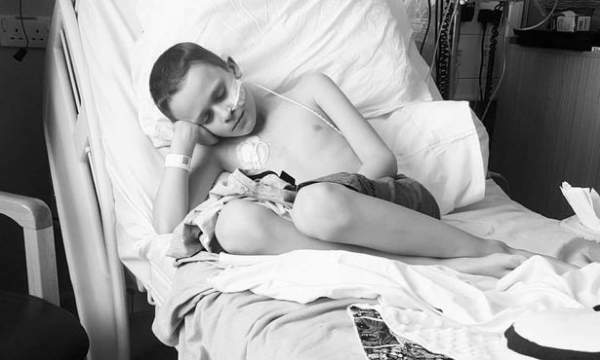 Baliey’s parents managed to share their final moments with their son, they said that in those final moments he said something extraordinarily touching about his little sister, just before he was taken to the hospital. Rest in peace little man we wish you peaceful happy days in heaven, you were so brave, our thoughts rest with you. Previous articleWaitress In Angry Because Kid Can Only Just Afford Ice Cream, But After She Clears the Table She Is Crying! Kindergarten teacher tries to stay calm while helping this student. His reply is priceless!